Expand health care access; withdraw Medicare Part D changes. Each receives up to $200,000 thanks to ViiV Healthcare’s Positive Action for Youth program. Advocates decry the bill as a setback for people living with HIV. The proposed law seeks to address recent increases in opioid use, hepatitis C and HIV infections across the state. For the 10th year, AIDS United and the Ford Foundation partner on the Southern REACH initiative. The viral photo campaign IAMHIV hopes to end stigma, one portrait at a time. The advocacy group recognizes leadership under the AIDS Drug Assistance Program (ADAP). Harvard Law School’s CHLPI leads AIDS groups to battle unfair practices in the Obamacare marketplace. 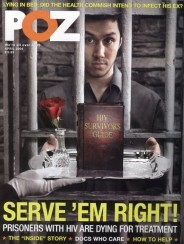 HIV-positive advocates break down barriers to care in the south. 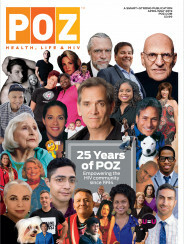 The women highlighted in this issue of POZ are wonderful role models. AIDS Alabama provides HIV/AIDS services across the state and advocacy throughout the entire South.